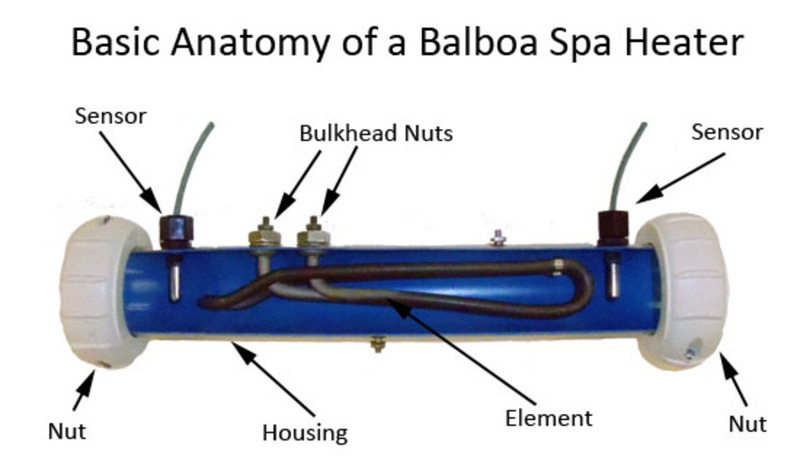 A very common hot tub heater assembly for the plastic GS/GL spa packs by Balboa. 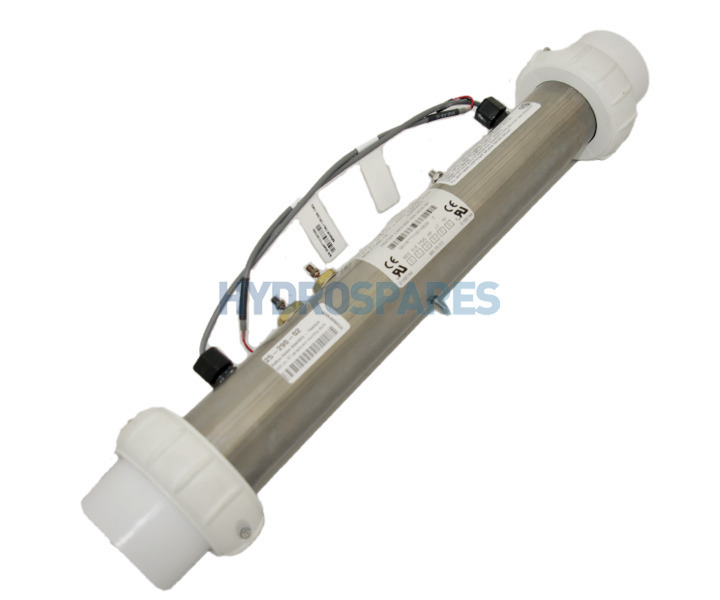 Fitted with 24" M7 sensor technology to regulate spa water flow and temperature. Heater gaskets and split nut unions are also included making for easy installation and removal. Solvent weld sockets for 2.0" pipe. Fixed into place with 2 x mounting studs top and bottom. The heater also comes complete with two M7 sensors, pre mounted at each end of the heater tube ready for connection to the control box. These sensors monitor each other using the onboard software to regulate the spas functions of water flow and temperature. This technology allows for a correct operating environment for the heater. The sensors automatically adapt to the flow direction and detect restrictions including dirty filters. This Balboa heater assembly is quick to install and allows for easy servicing and troubleshooting, due to the split 2 inch buttress thread unions with O ring. The union is ready to accept glued 2 inch pipework. 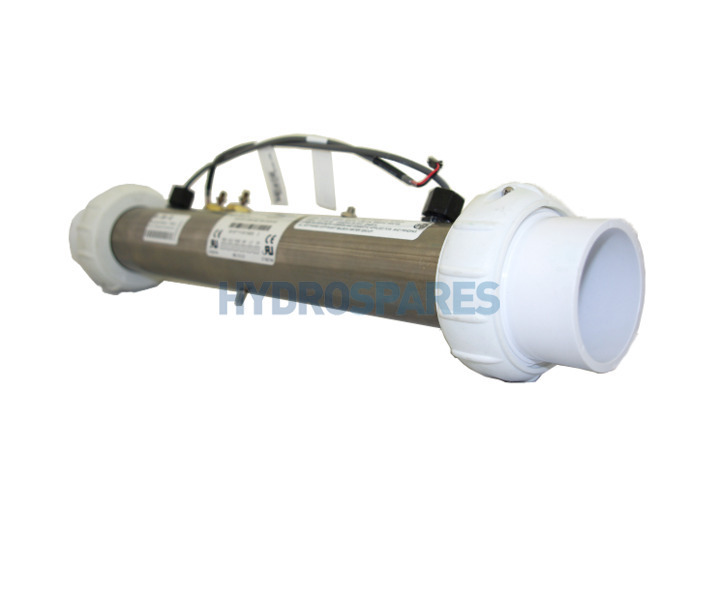 Always match the heater number to ensure the correct specification, the 2kw can be used with GS-GL packs such as GS500, 500Z, 501, 501Z systems, spas that use this heater include Spaform, Hydrospa, Canadian, Aegean, Catalina, Hydropool, , Marquis Spa, , Leisurite, Leisure Bay, Signature Spas, Hot Tubs Direct.